Recently, I moved away from my martial arts coach and training partners. 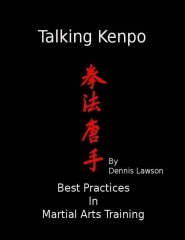 I decided to cross-train in another martial art because I could not find a school in my system (Ed Parker’s Kenpo) close to my new home. Going in to this new art as a beginner, it was surprising to me that they required their male students to have groin protection but didn't have the same requirement for their female students. I found that this attitude was the norm in many martial arts schools. Being a long time practitioner, I always train with protective gear. I find that it not only protects me from injury, but makes for a more comfortable environment when making contact with my training partners. I suspect there are two reasons for this lax attitude regarding female protective gear. The martial arts world is male dominated; thus most instructors don't have first hand knowledge of what women should wear as protective gear. Another reason for this oversight may be that some male instructors feel uncomfortable approaching female students or their parents about the importance of wearing protective gear. Hopefully, with the information provided in this article, instructors will be more comfortable discussing the need for female protective gear. This article should provide the necessary information for any instructor to approach this subject with his female students. The physical need for protective gear in any contact sport is evident. Male students generally wear protective gear on one area of their bodies while it is important for female students to protect two areas of their body: the groin area and the breast area. Female students need to wear adequate protection to prevent their reproductive system from being damaged. It's important for women to have a cup that not only protects the groin, but the uterus as well. Although in my experience some types of protective gear make it more difficult to move, this is a small price to pay for this important protection. A readily available alternative, especially for older female students, is to wear a male's cup, or a female hockey compression short with a female cup. Both options provide protection to only the groin area and the female hockey cup is less bulky. Like the search for the best running shoe, sometimes one must try multiple styles and brands to find the perfect fit for the individual martial art style and student’s body type. As there are various options for female groin protection, there are various types of protection for breasts. Some think that breast protection isn't as important as groin protection since the potential consequence of the injury is less severe. Injury prevention, while important, is only one consideration. Not only does it hurt when one is accidentally struck in the breast, but the protection has psychological benefits for both the female student and her male counterparts. Realistic martial arts training requires touching each other, whether it is in contact manipulation range, throwing each other around, or in contact penetration stage where we are pushing, striking, and punching each other. Incidental and unintentional contact is bound to happen. On more than one occasion I've had my training partners accidentally strike or touch my breast. I couldn't help but notice the look of relief on their faces when their hands didn't meet flesh, instead, it felt hard protective gear. The gear also seemed to give my training partners less reservation in making contact. It's the same peace of mind I get when I kick one of my male counterparts in the groin; confident that my foot will strike a reinforced plastic or metal cup. There are several types of breast protection women can train in, including full breast shields that cover the entire front upper torso. I've never used this type of protection, thus can not give an honest evaluation of it. I prefer, as well as recommend, “turtle shells” for women. This product consists of a sports bra with plastic inserts. This design is easily washable and provides plenty of protection from impact without impairing mobility. The bra and inserts can be purchased separately or as a unit, making it feasible to purchase multiple bras while using one set of inserts. And in a pinch, one can alter a regular sports bra to accommodate the inserts. Although this modification should be a temporary one, it's better than training with no protection. At the end of the article, I provide links to various types of groin and breast protection. As an instructor you can recommend these to your female students and parents. If you are a female martial artist, these recommendations can be a starting point for your own research. If you are an instructor, this can give you a starting point to requiring all your students to protect themselves. Choosing the right protective gear not only protects female students from injury, but creates a more comfortable training environment for all participants.